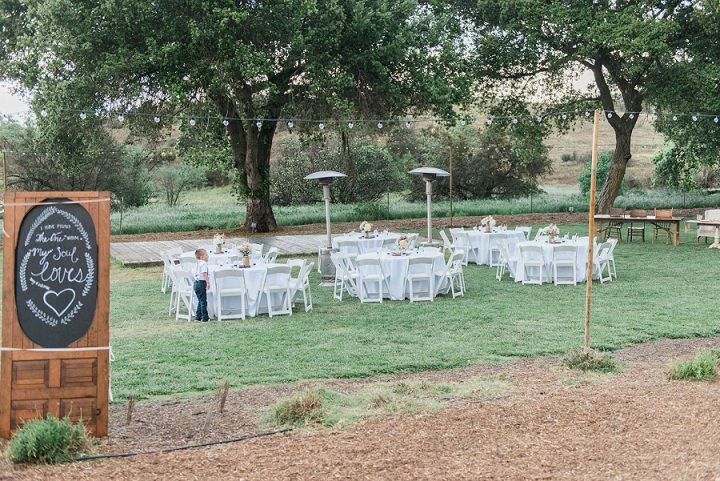 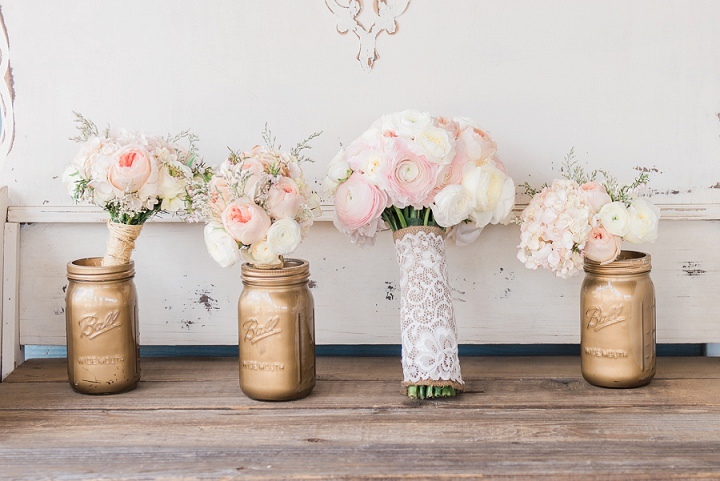 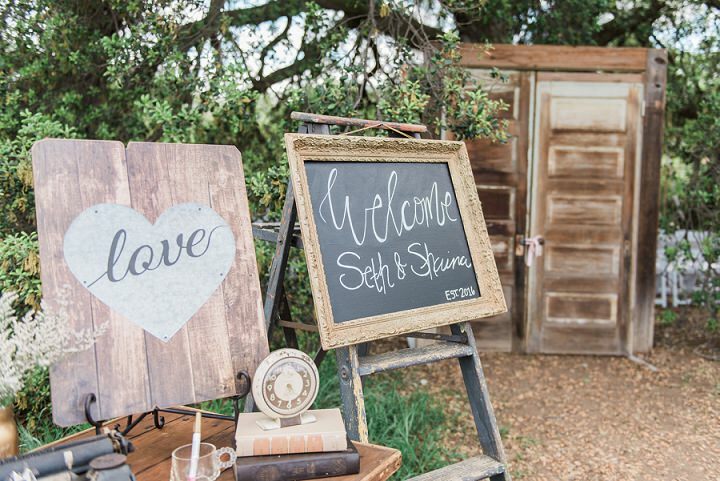 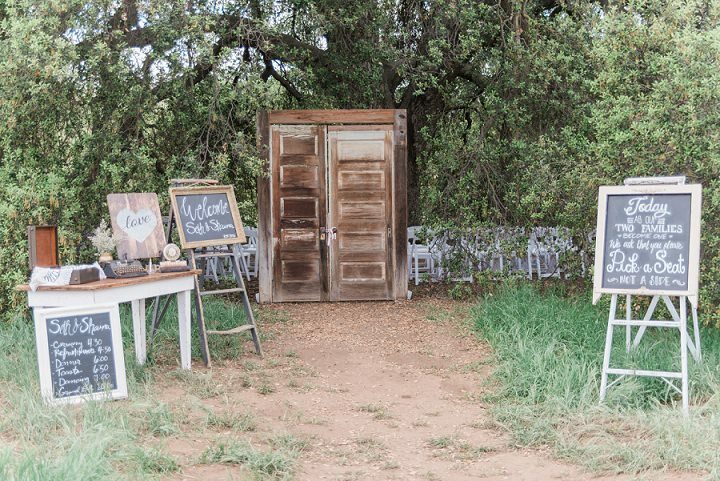 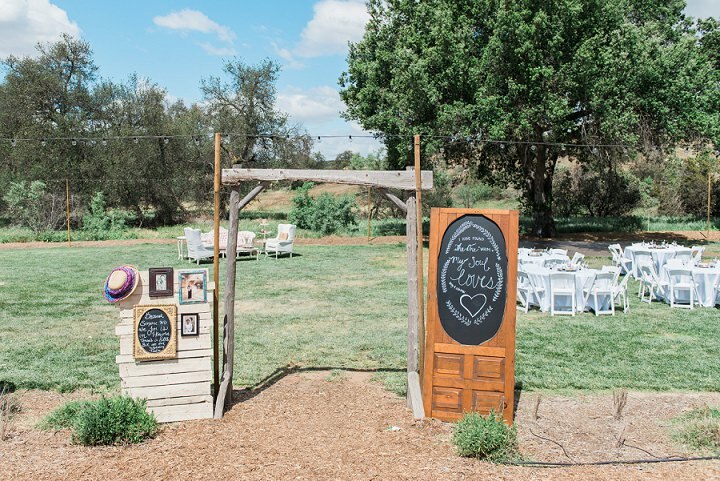 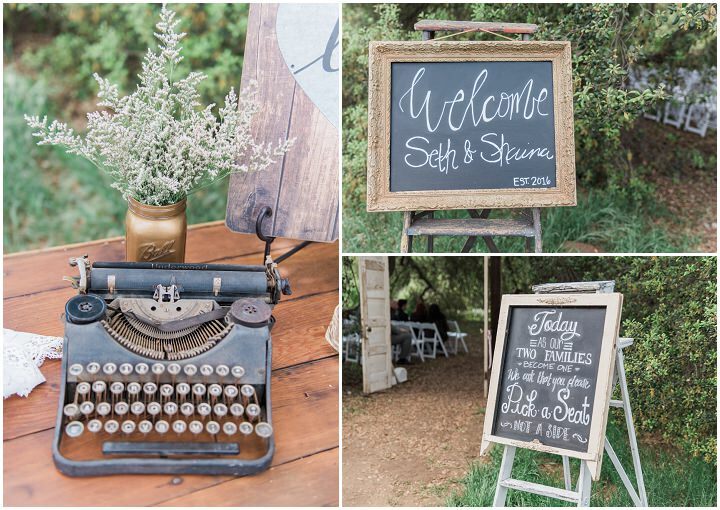 Shania and Seth were married on the 30th March 2016 at Owl Creek Farms, California. 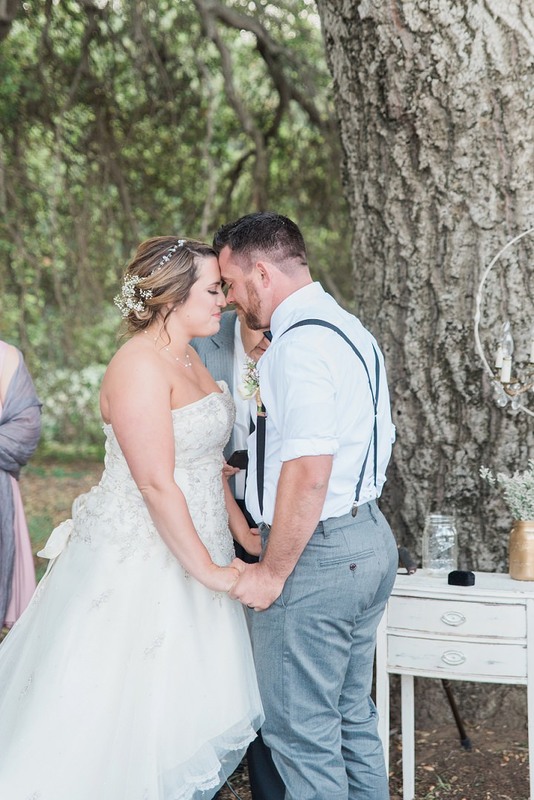 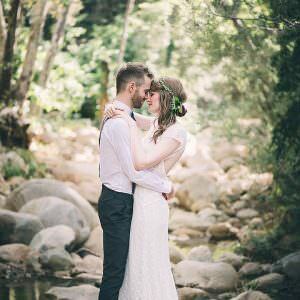 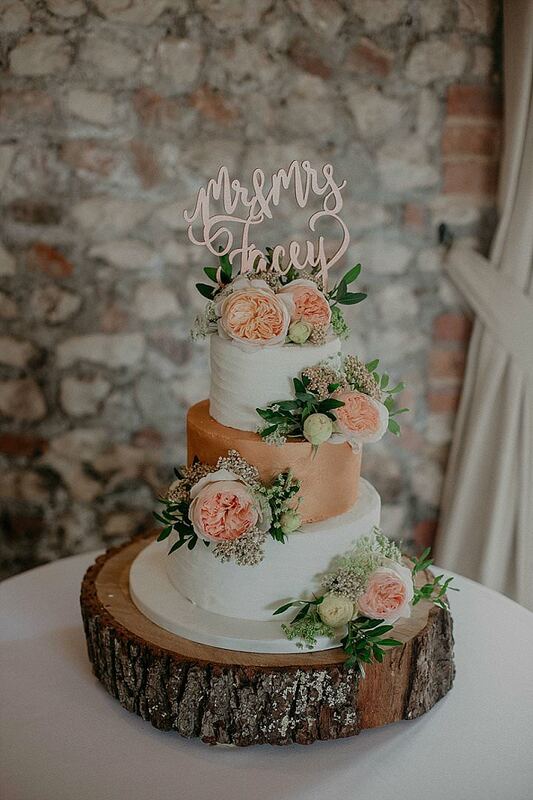 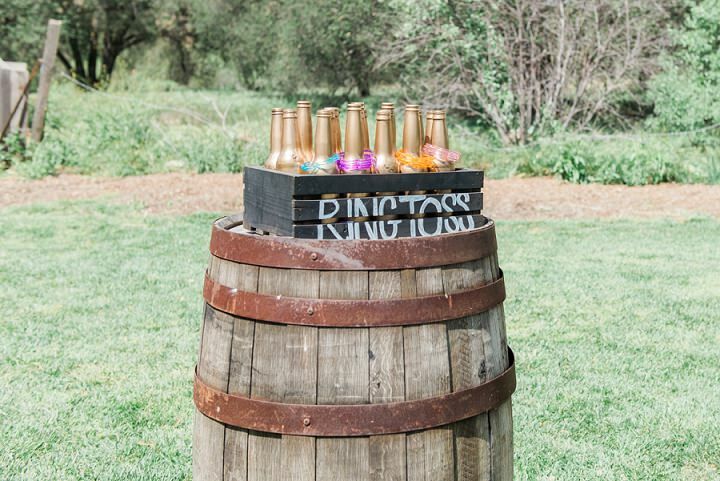 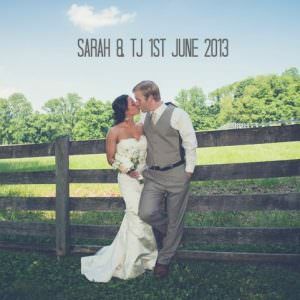 The gorgeous rustic ceremony was held outdoors under an ancient tree after the sweetest first-look, with friends and family looking on. 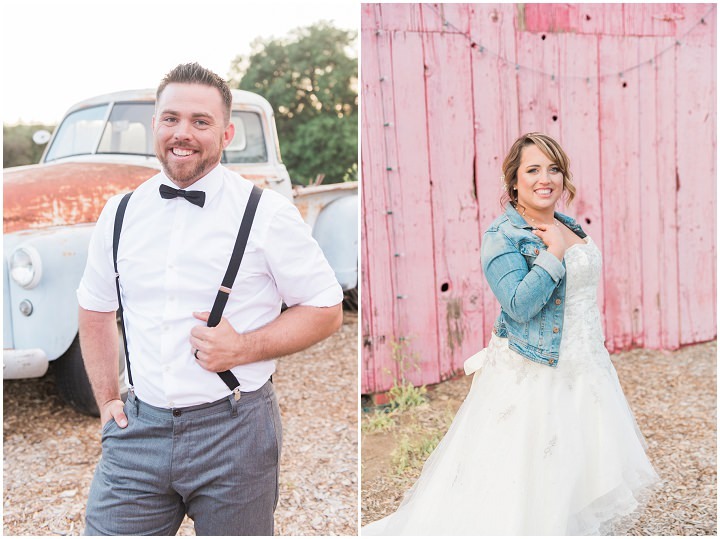 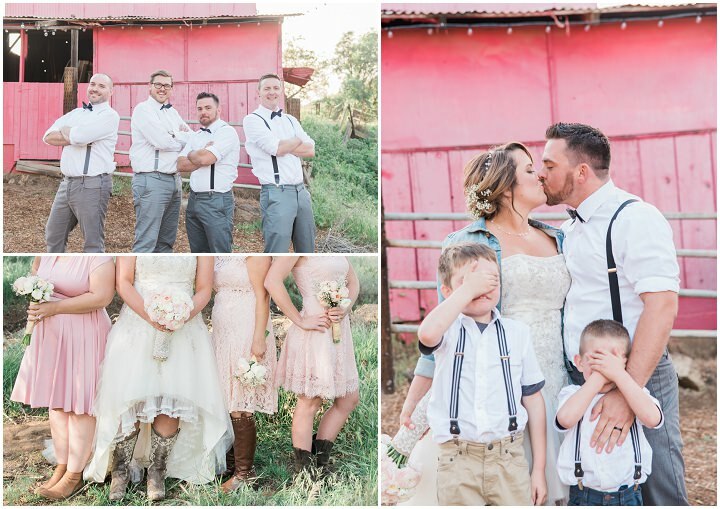 The bride looks stunning in her custom gown and her beau looks equally dapper in braces and bow-tie! 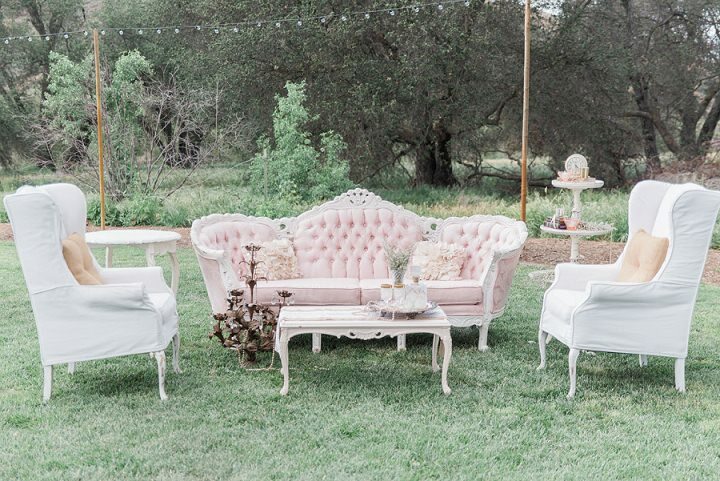 I adore the lounge furniture placed outside and the simple blooms are just amazing. 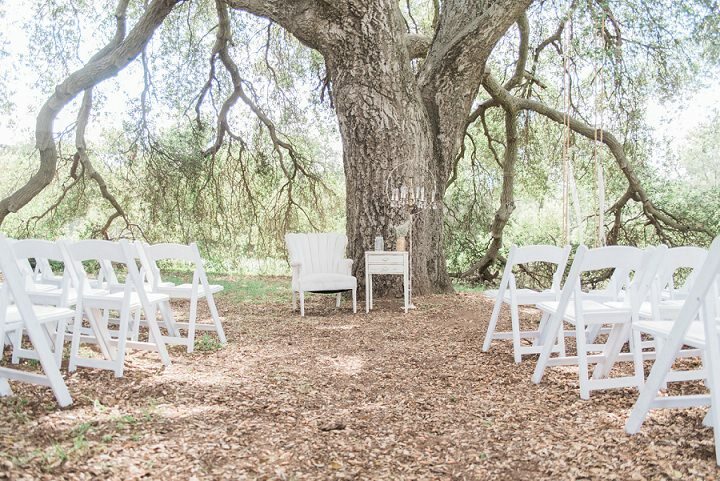 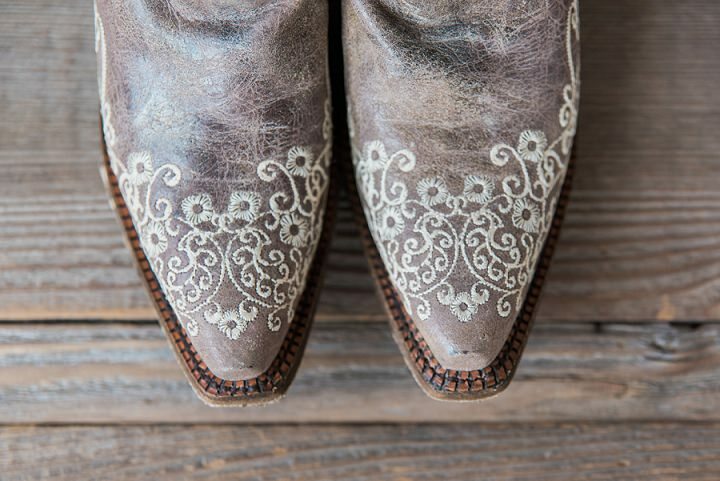 Many thanks to Stevie Dee Photography for the lovely Californian light-filled images. 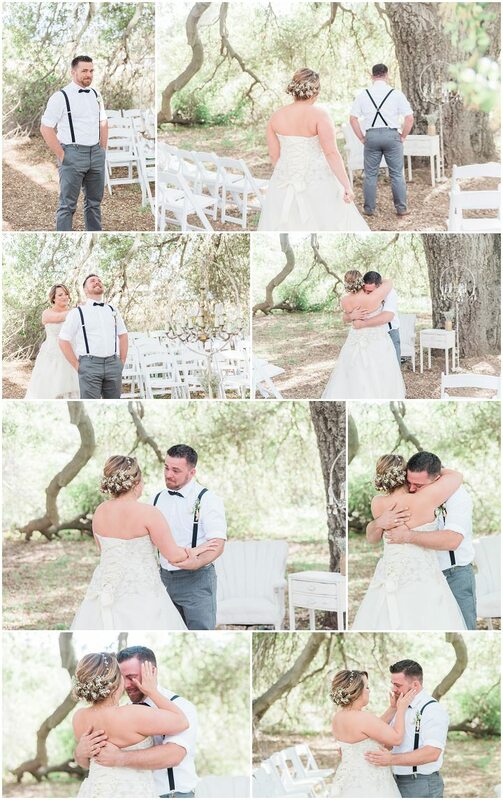 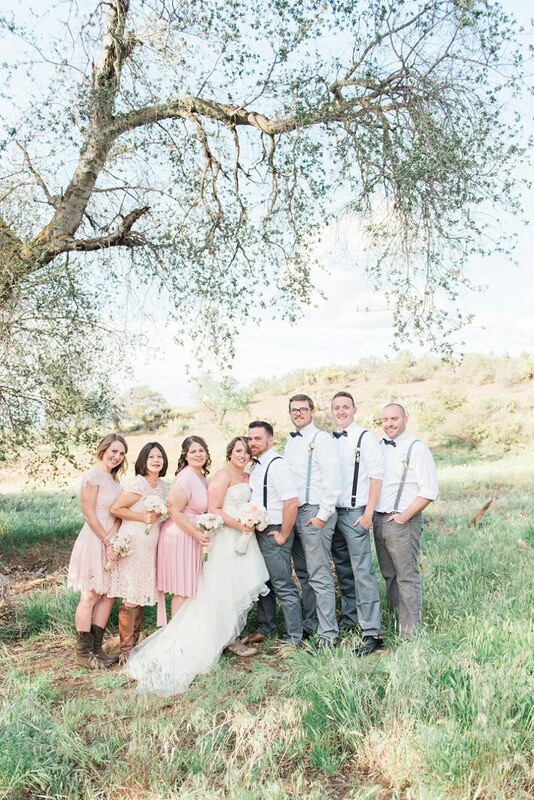 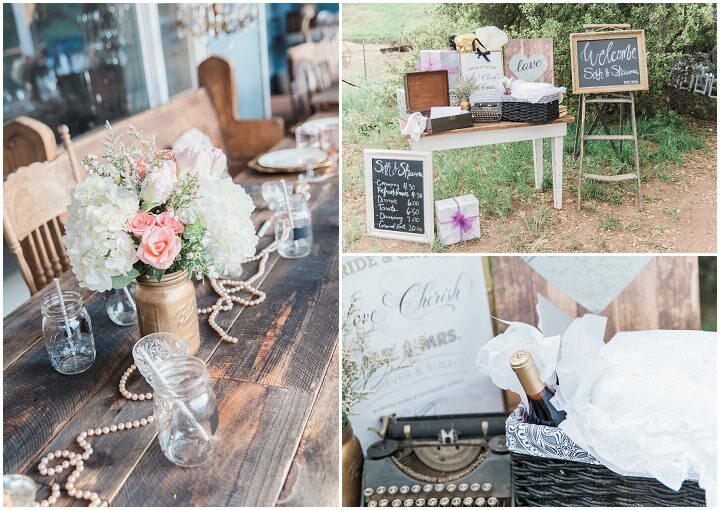 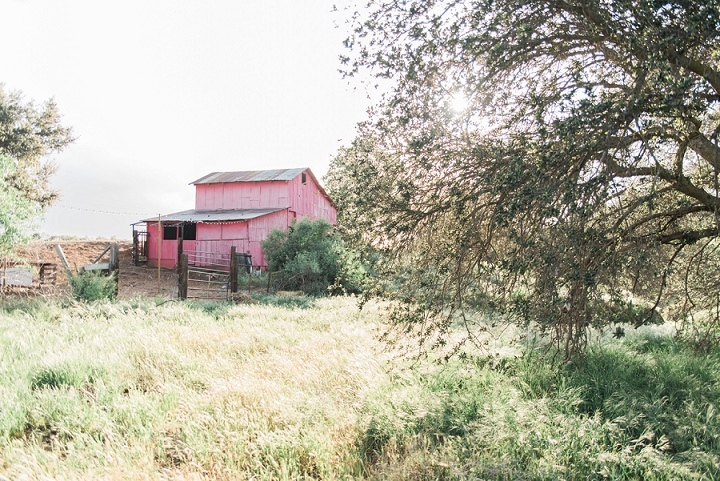 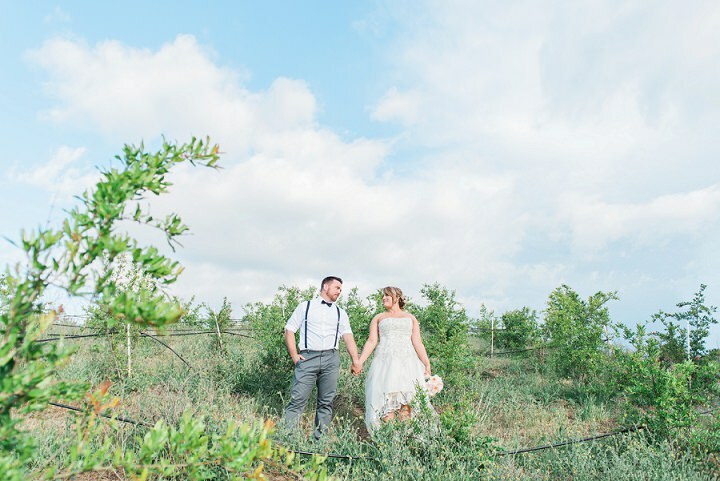 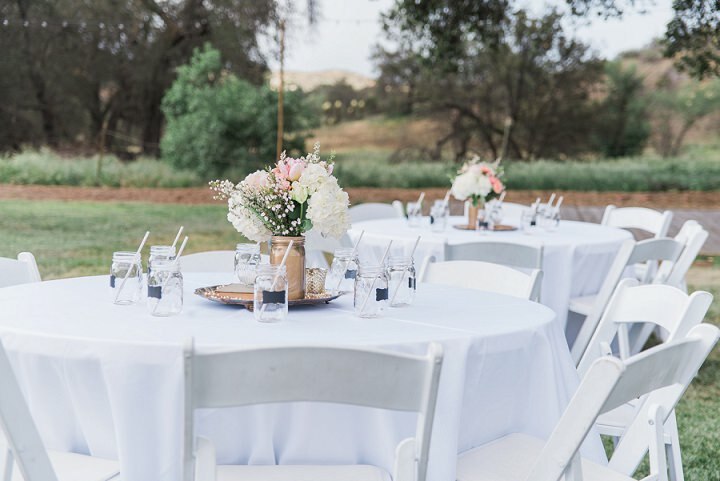 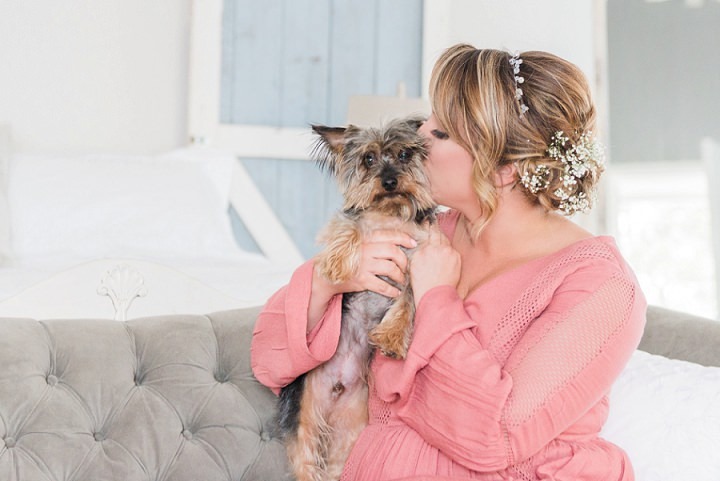 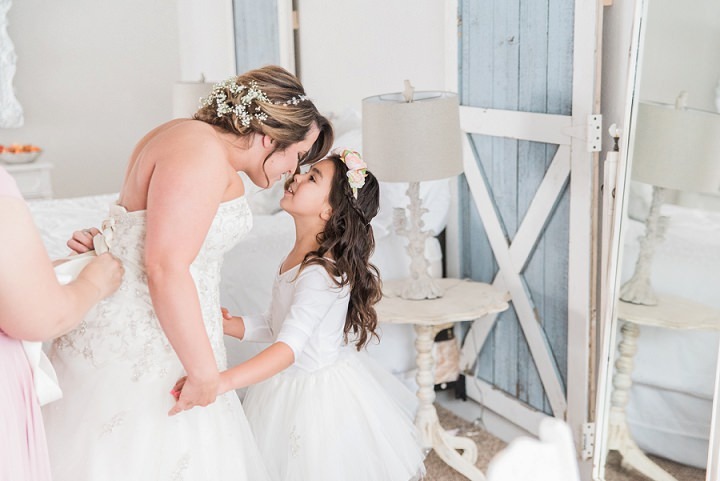 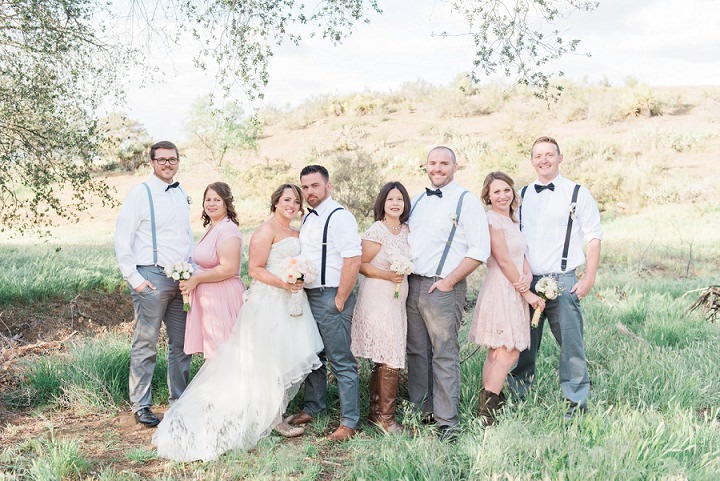 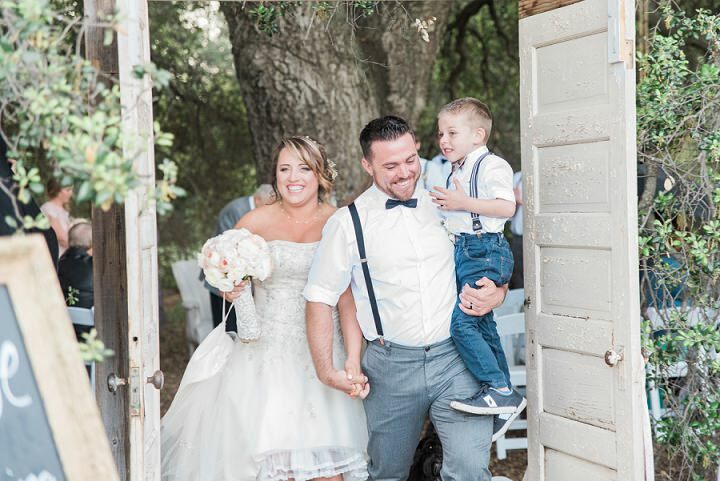 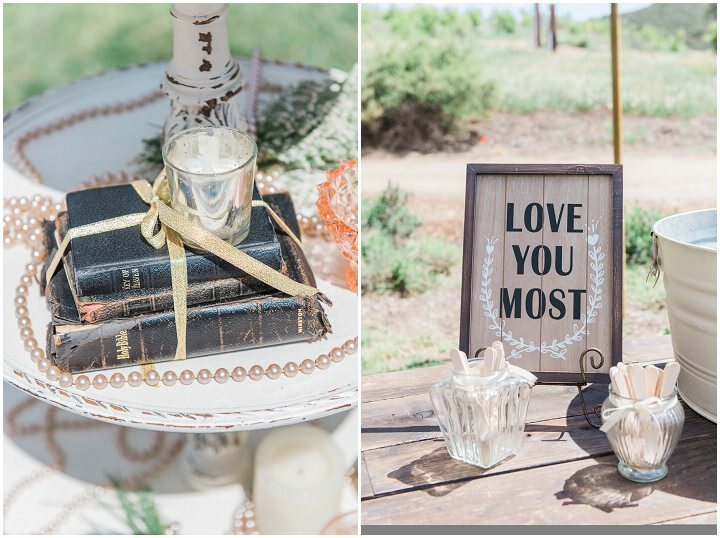 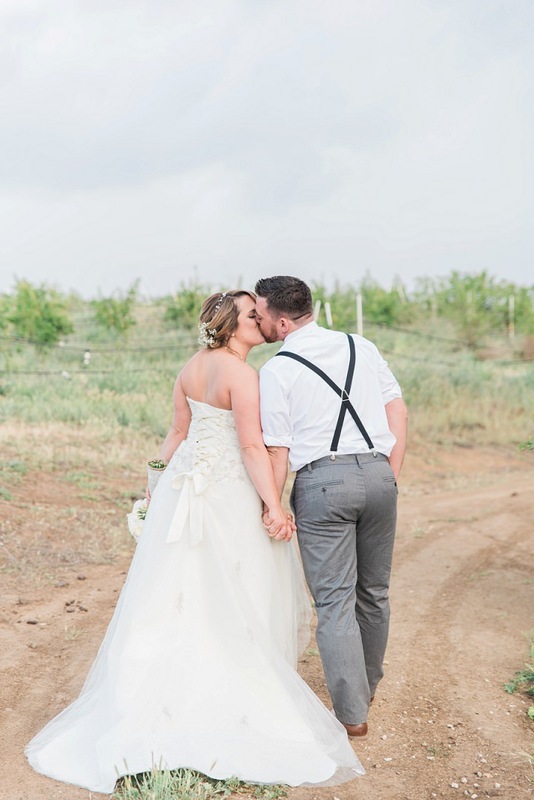 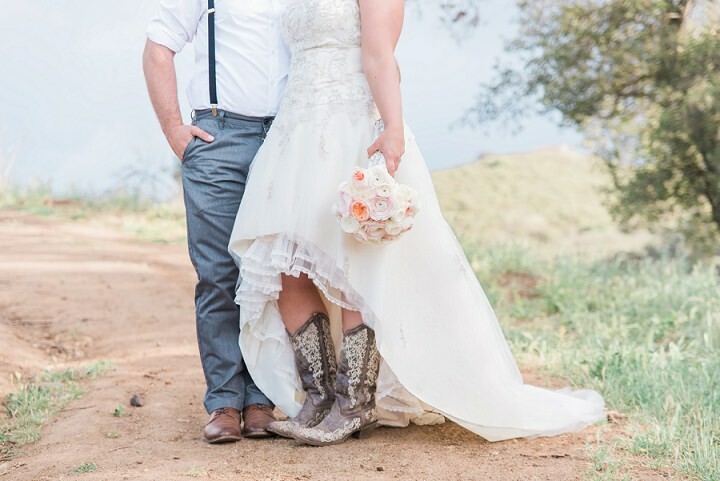 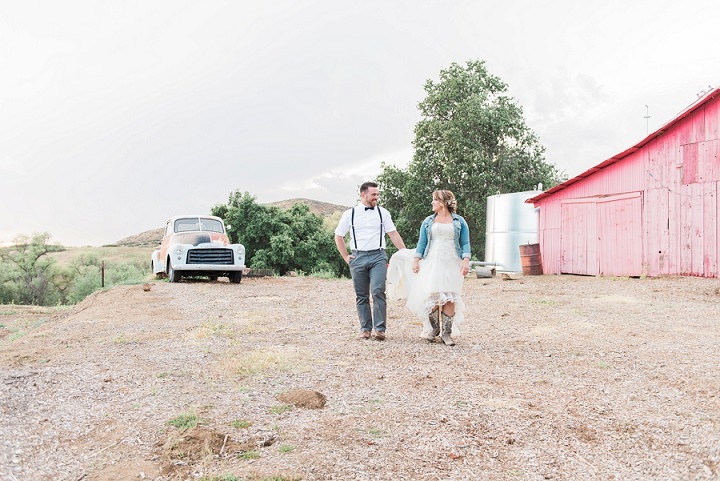 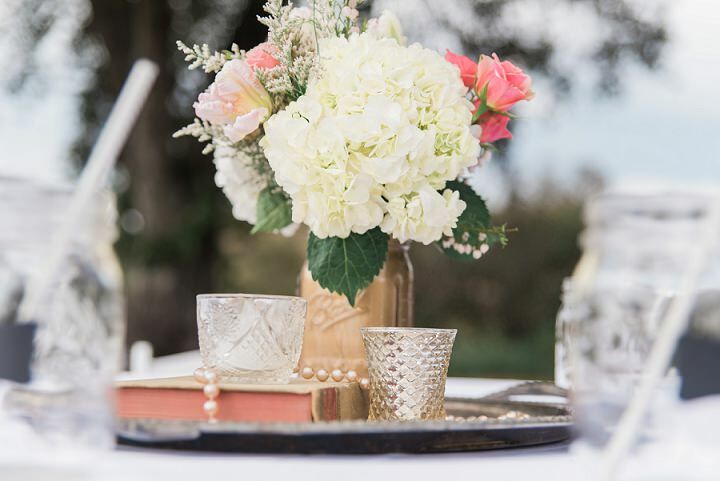 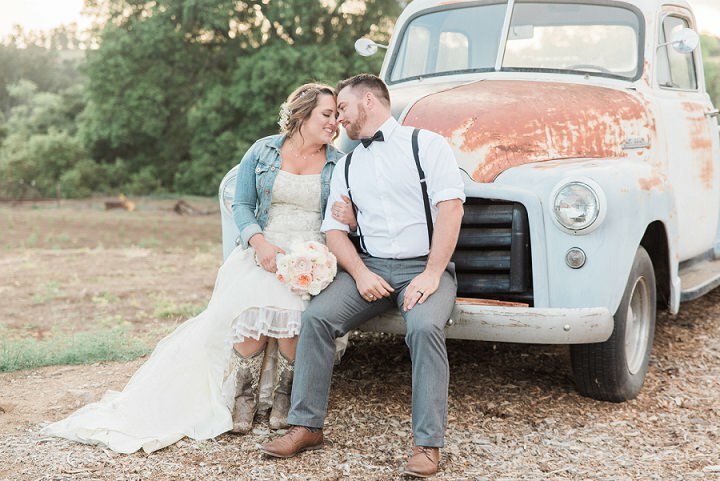 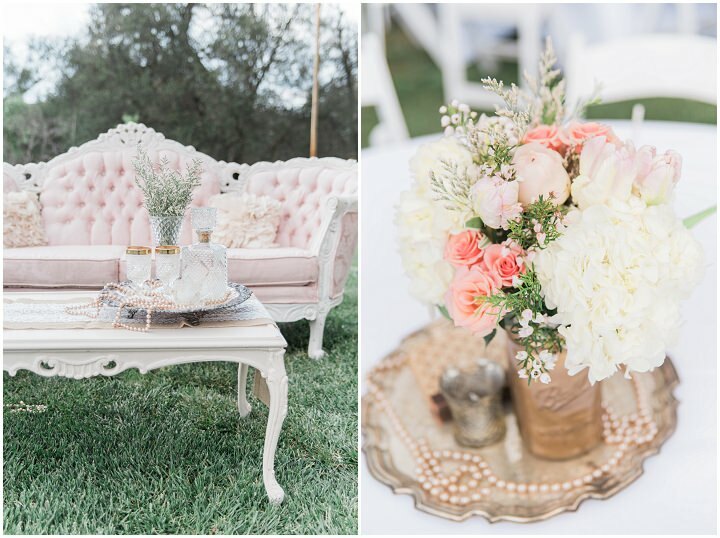 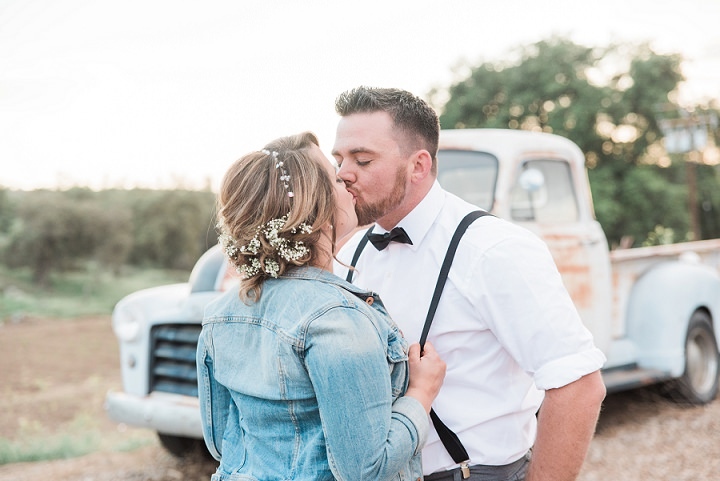 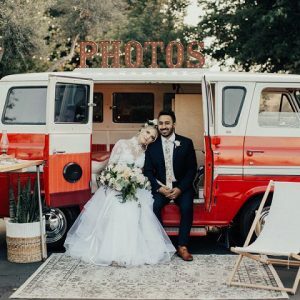 Seth and Shaina were married at a secluded farm on the outskirts of Temecula Valley Wine Country. 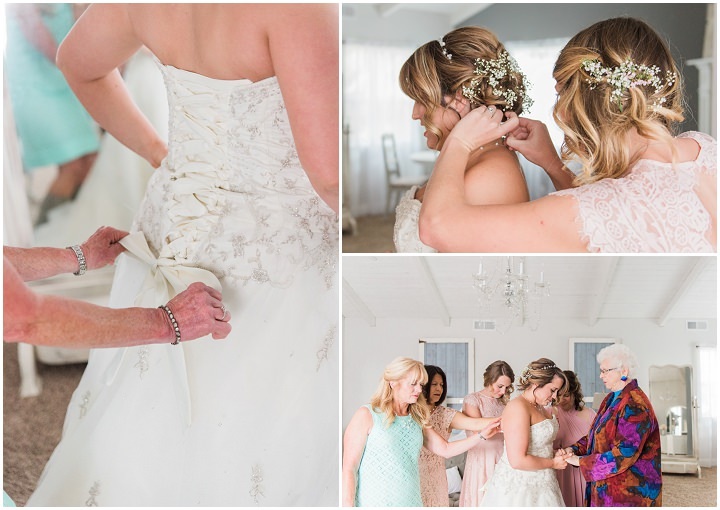 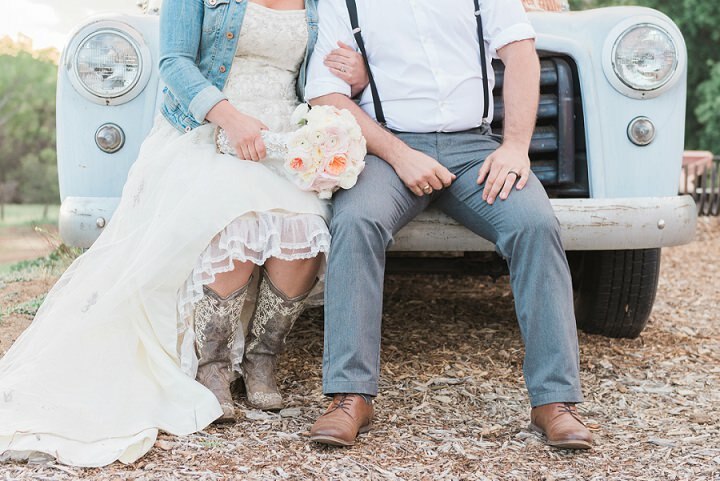 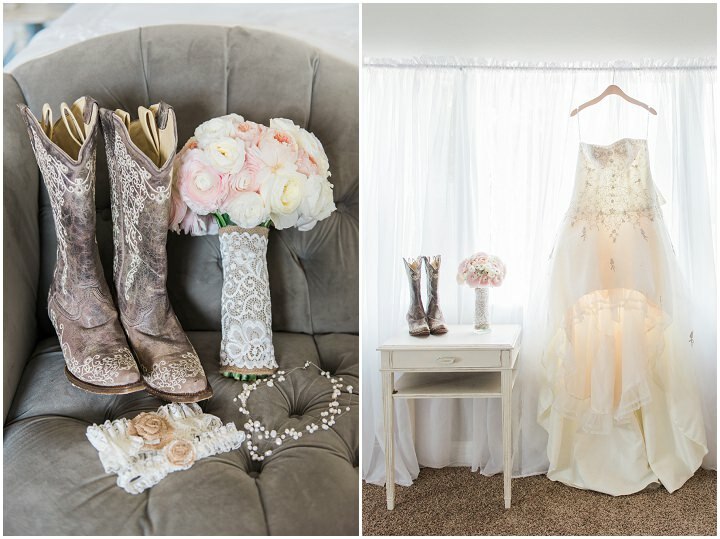 The bride wore a high-low custom wedding dress (which was perfect for her rustic theme!) 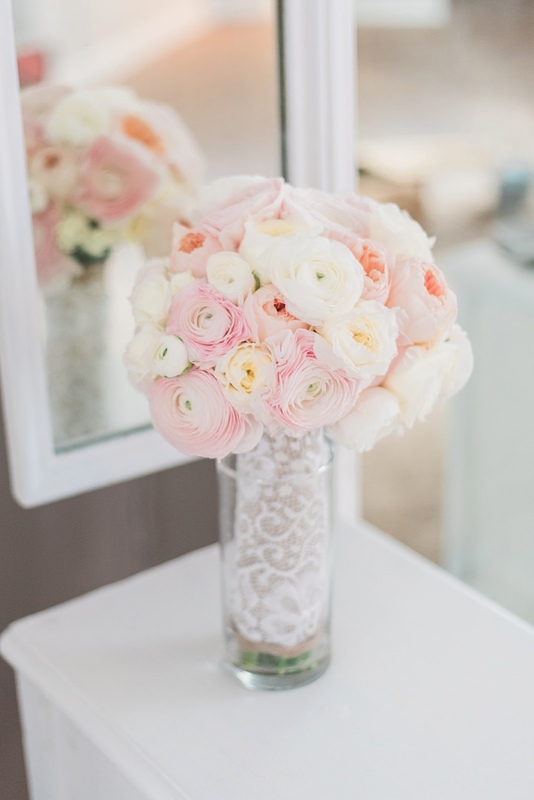 and made all the floral arrangements herself. 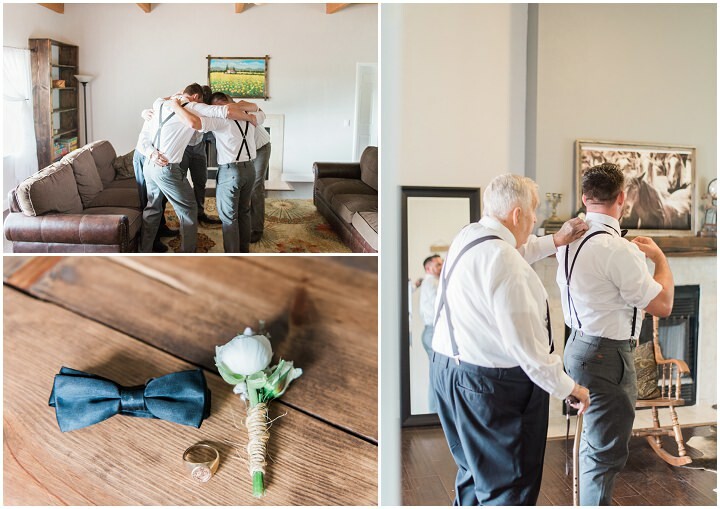 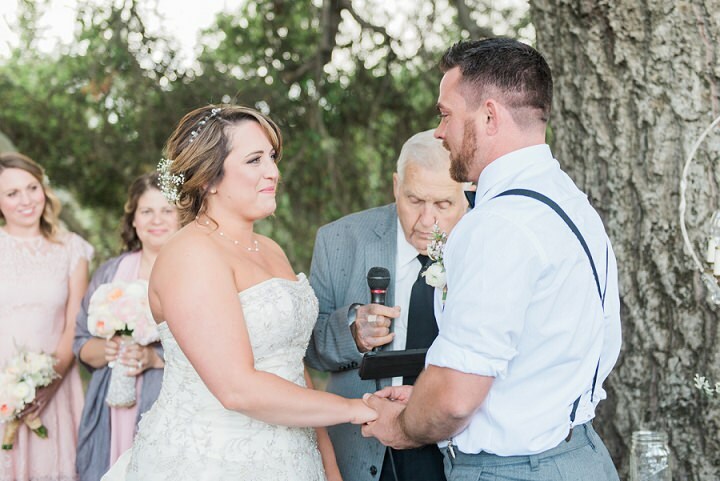 The bride’s grandfather, having such a special bond with her, officiated the ceremony. 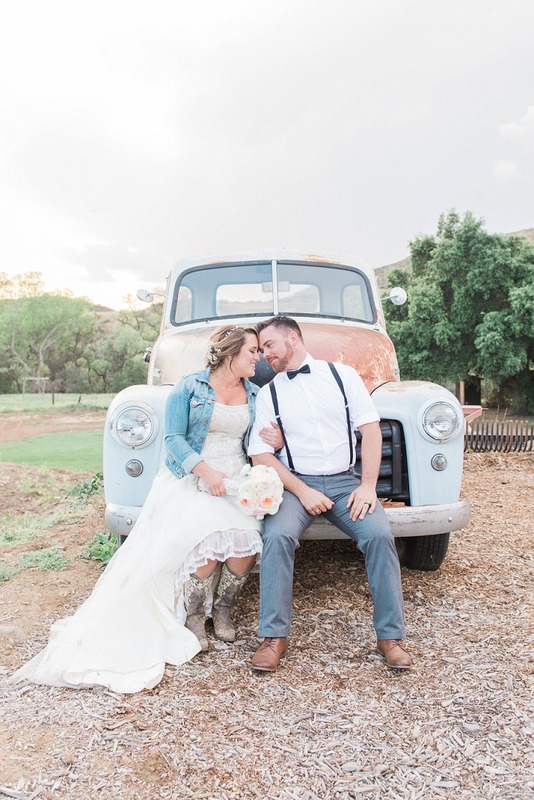 Right as the bride walked down the aisle a sudden storm rolled in, complete with rain, thunder and lightning, and even hail! 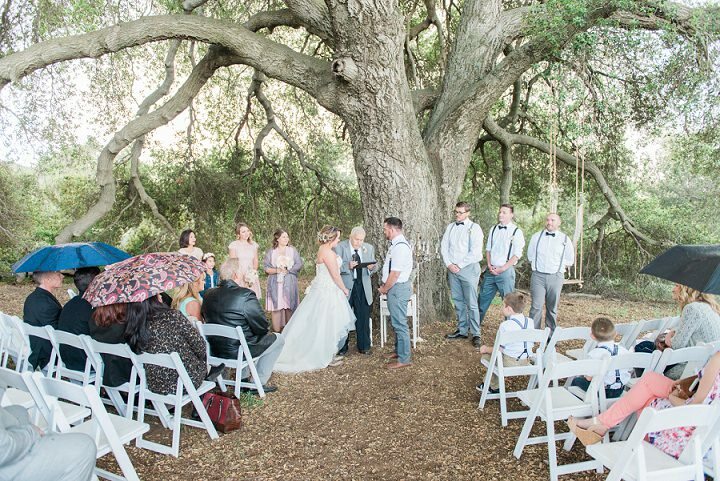 Luckily, the intimate ceremony was held under the gigantic canopy of a 200 year old Oak tree and provided shelter against the lashing storm.